Pantai Ora or Ora beach is located on the island of Seram, Maluku Tengah. This is heaven on earth. No need to go far away to foreign countries to get a peaceful atmosphere with the natural landscape, especially for having the magnificent beach. Pantai Ora offers a natural beauty that is second to none, one more proof for the tourists out there that Indonesia has such beautiful beach like this. As far as we can see, the charm of the beauty of the beach is worth aligned with other beautiful beaches like Boracay beach in the Philippines or the Bora-Bora in the Pacific Ocean. 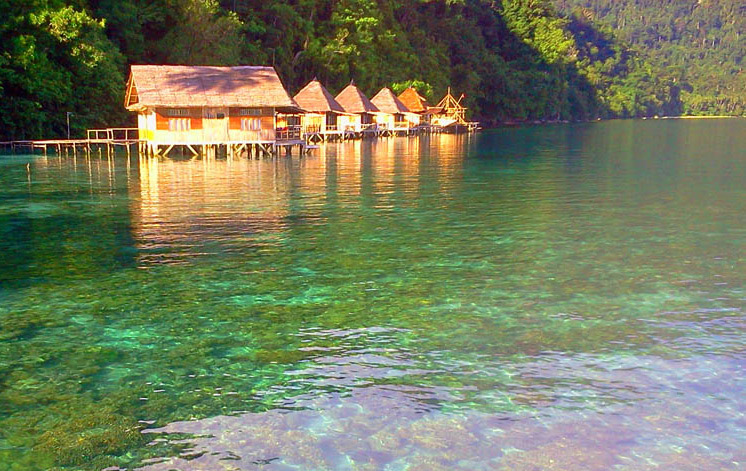 Ora beach in settled in the village of Saleman, Northern Seram District, Central Maluku. On this beach there is a resort named Ora Beach Resort which has 6 pieces cottages and all made of wood with thatched roofs. In addition to the magnificent sightseeing, another charm of this beach is taken from the marine life. The coral reefs on the beach is diverse and colorful as well as the fishes. Because the water is so clear, we can see the coral and fish that directly swimming under the water. Ora Beach is settled in remote location and far away from the crowds, this makes Ora Beach is perfect for those who craving for tranquility, being away from the urban bustle. For newlyweds this beach is surely can be a perfect escape for honeymooners. To get to Ora Beach can be start from the Port Tulehu, from tourist from oustide Ambon or even foreigner can reach from Ambon Pattimura Airport. From Tulehu Port, you can use fast boat to the Port Amahai (Masohi) with dance vessel at a cost of 150,000 for VIP and Rp. 92.000 for the economy. The time that needed to reach Amahai harbor from Port Tulehu is approximately 2 hours. Upon arrival in Port Amahai, we can proceed to use public transportation for about 2 hours to get to the village of Sawai in Central Maluku district. To go from the village of Sawai to Ora Beach, you just need to cross by boat only for 10 minutes. Another alternative to reach Ora Beach is to rent a car directly in Ambon Pattimura airport to be delivered to the village of Sawai.